Serves: Only yourself. Why would you share this? It's been on your face. Difficulty: None, it spins on its own. 0 calories, if anything it's considered a workout. Any soap you choose to use on your face. Absolutely! It's a favorite product in my skincare routine. My friends often call me a skincare junkie. I’m fascinated with skincare products and am constantly on the lookout to try new things. Granted, some sound ridiculous or painful, yet others make absolute sense. In the case of this tool, we’re always told to keep our hands off our face. I enjoy washing my face with extra clean hands but I was intrigued to see how this would work out. Let’s start with what this product claims to do and then we’ll discuss what it actually did for my skin. 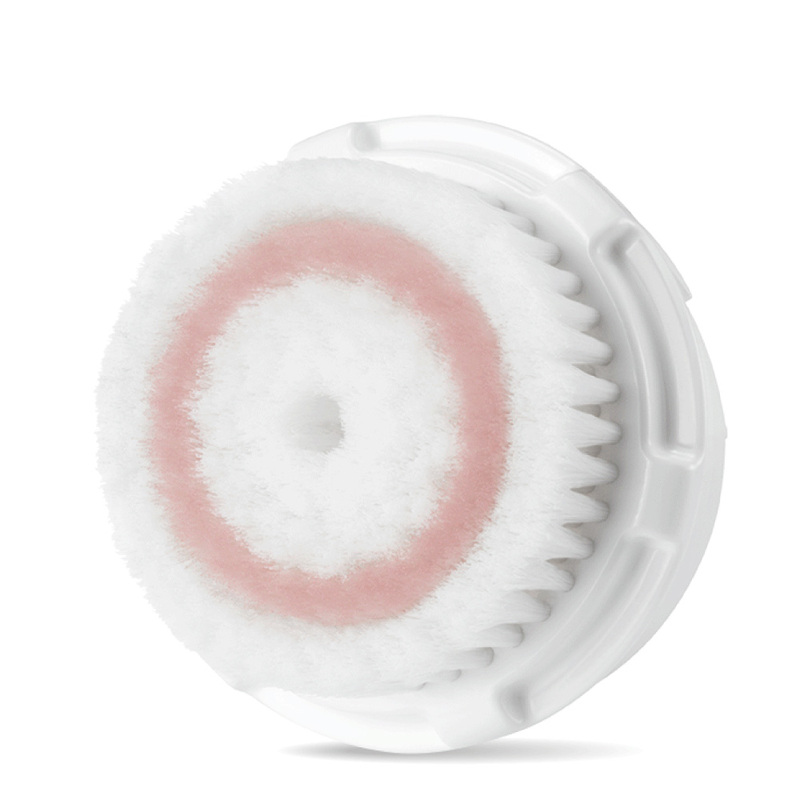 The MIA 1 is a facial cleansing brush that’ll loosen and remove dirt and oil from skin and its steady speed is the ideal pace for washing one’s face. Also, it is waterproof and comes with a plug, which makes it rechargeable. There was a sample of its own soap; I gave it a try and quickly realized it wouldn’t work for me. I proceeded to use it with my own soap and started cleansing my face. I enjoy that the timer is set. You have 60 seconds to clean your entire face. Of course you can start it again afterwards and stop it at your own pace, however it’s in my liking that it turns off on its own. It’s imperative to be gentle with this, not pressing it too hard against your skin thinking it’ll offer a deeper cleanse. This might cause irritation and redness on your face. It spins on the face smoother, if the face is wet beforehand. I used it consecutively for two weeks and was happy with the results. While I can’t say I noticed an immediate change, I noticed my face more vibrant after each wash, due to the extra circulation the brush offers. 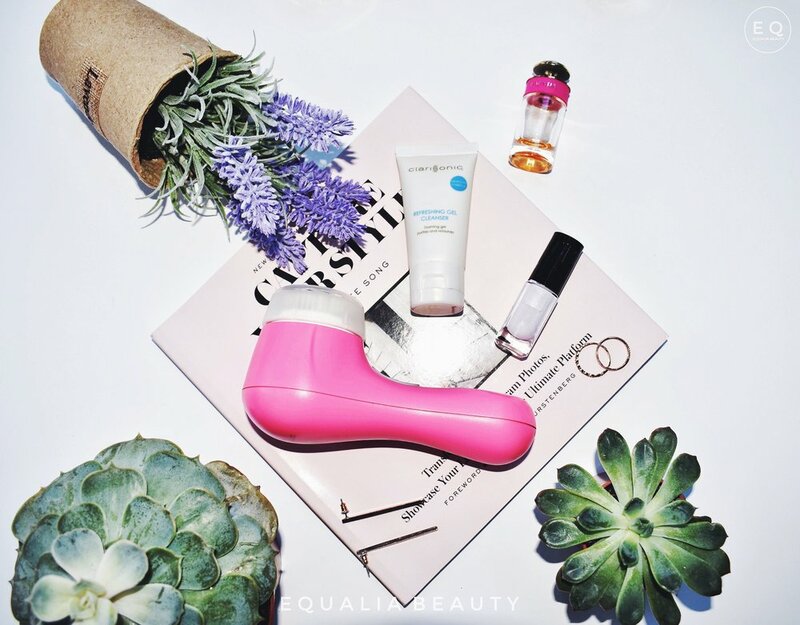 Recently, I joined the Clinique cleansing balm trend and decided to pair it with the Clarisonic brush. While I enjoyed the way it removed my makeup, cleaning the brush head was such a hassle so next time around I’ll stick to using my hands. In regards to the brush head, it is in fact hard to clean. Can you ever be entirely sure that you are cleaning it perfectly? I’m always concerned about residue staying on the brush and smearing it all over my face next time I use it. The official recommendation is to change the brush heads every three months since the bristles become less effective over time. While I understand why that’s necessary I don’t see it being a practical and pocket-friendly solution. I make sure to clean it properly following each use and let it air dry. Also, I don’t use it everyday therefore I change the brush head every six months. If in fact you notice it’s not as effective at the three month cutoff, by all means change it. I thoroughly enjoy using this brush. My issue besides the price, is that it’s not considered travel-friendly. It is in fact quite heavy and you’d have to pack the charger with it as well.I think it is worth the price; however changing the brush head every three months makes it more expensive from what you had originally in mind. If you happen to find it on sale, and interested in investing in your skincare routine, go ahead and purchase it. I think the results will pleasantly surprise you. Any Clarisonic users out there? Do you love or hate this brush? Sound off in the comments below!